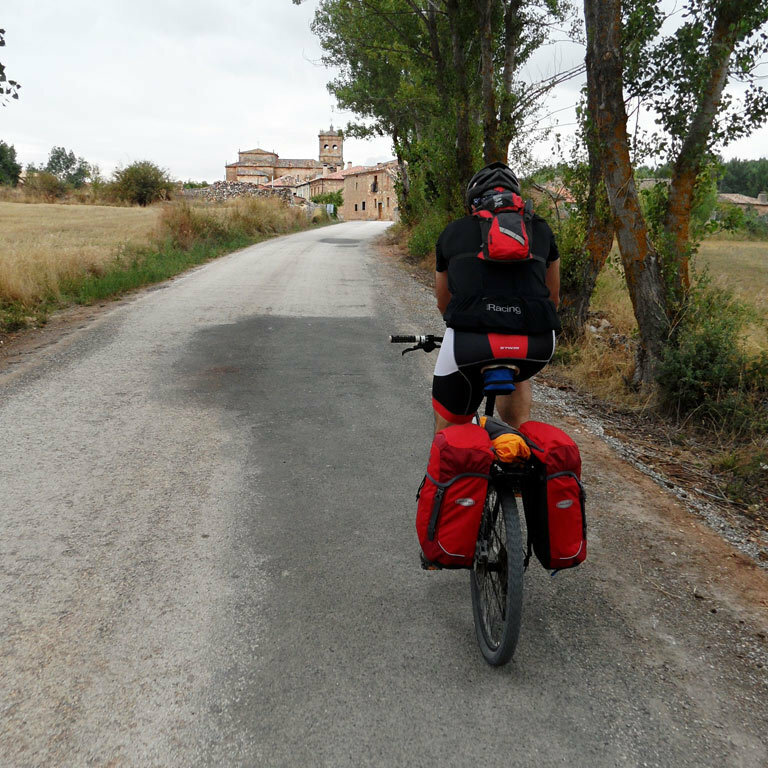 Route: From Vivar to Atienza. 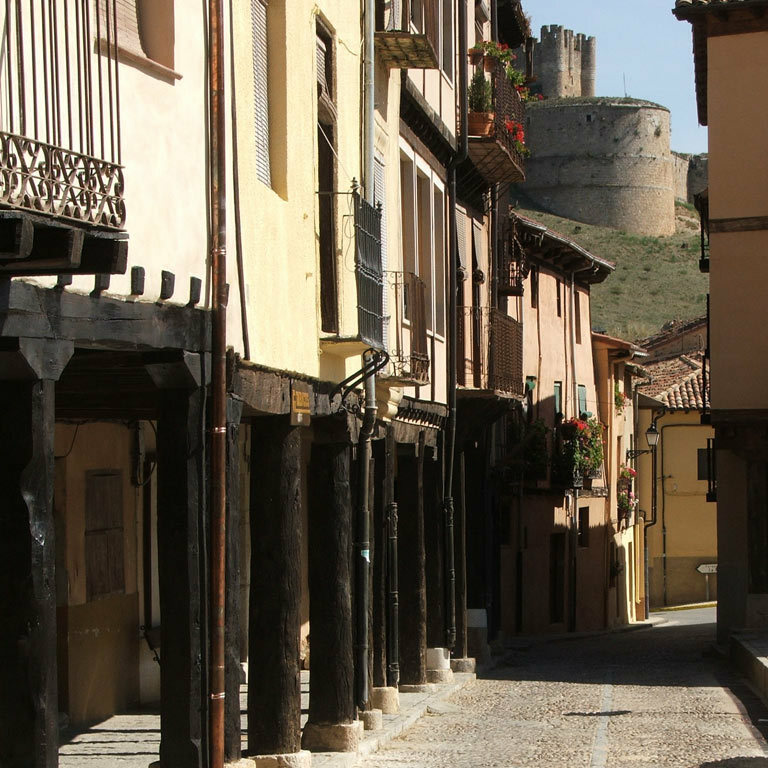 Days recommended: 7 days (6 nights) including the prologue stage of Vivar del Cid - Burgos (12 km), during which you will be able to visit the capital city of the province of Burgos. 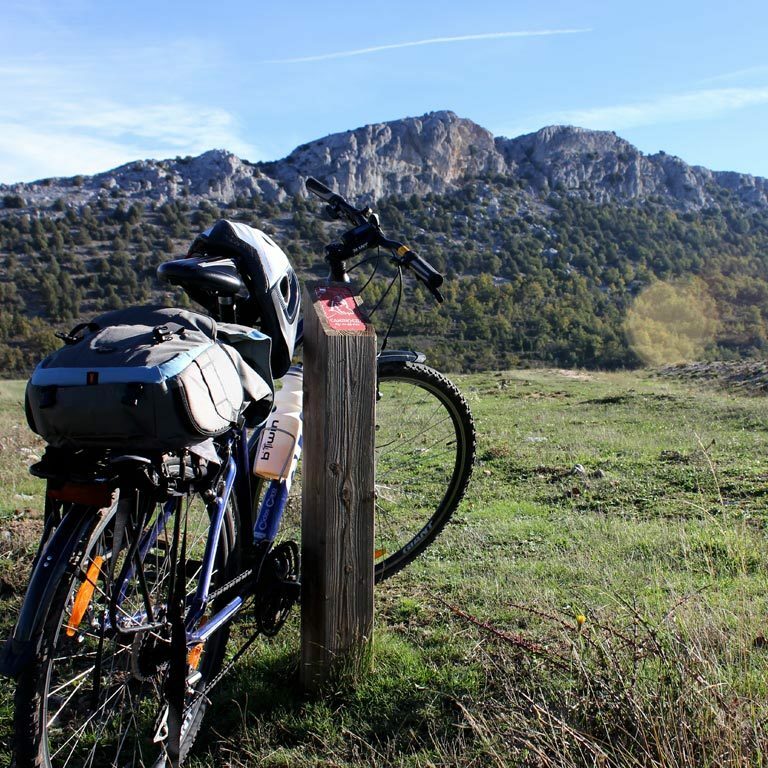 This route is ideal for road cycling tourism: great variety, not many slopes and, in general, along minor roads with little or no traffic. 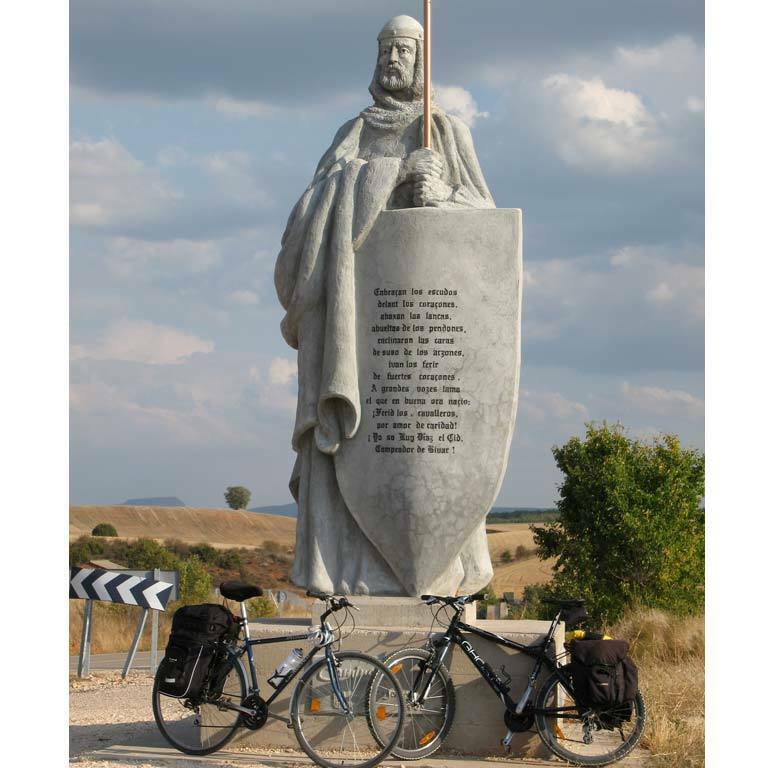 But anyway, remember to ride carefully. 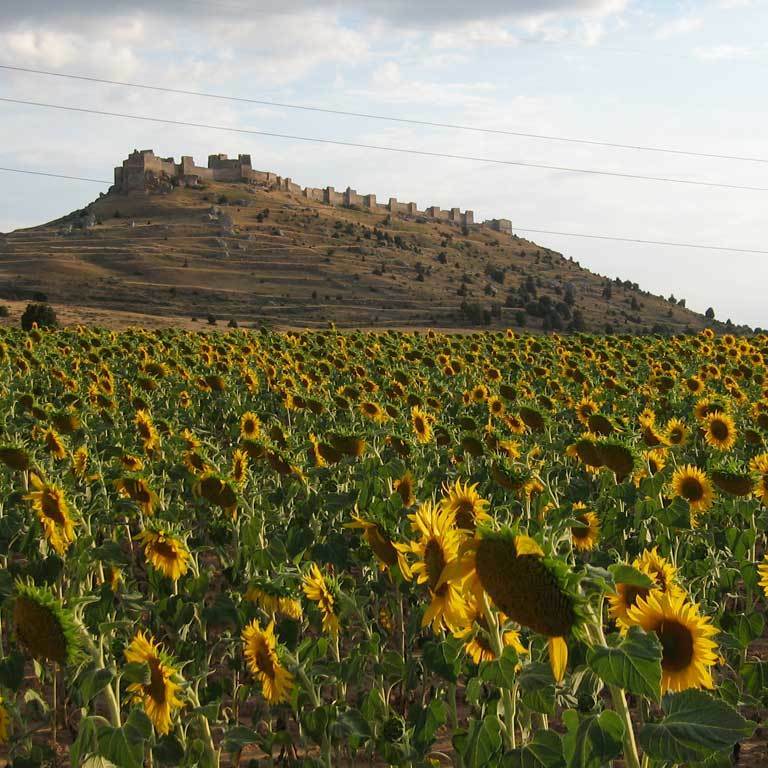 Small distractions can be dangerous. 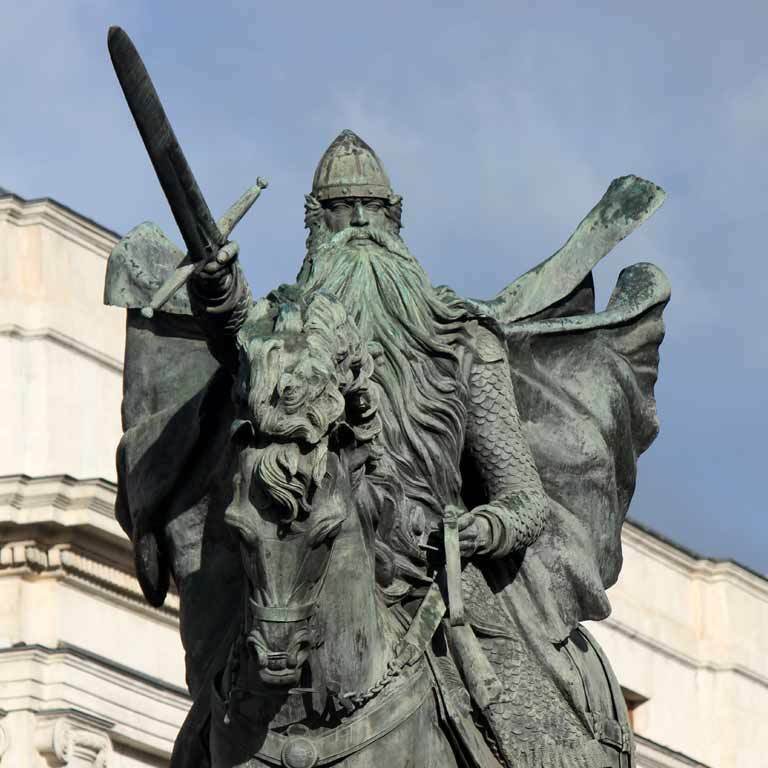 In general, this section follows the early days of El Cid's exile as told in the Poem of The Cid, although it also includes other passages from the poem, such as the Afrenta de Corpes. 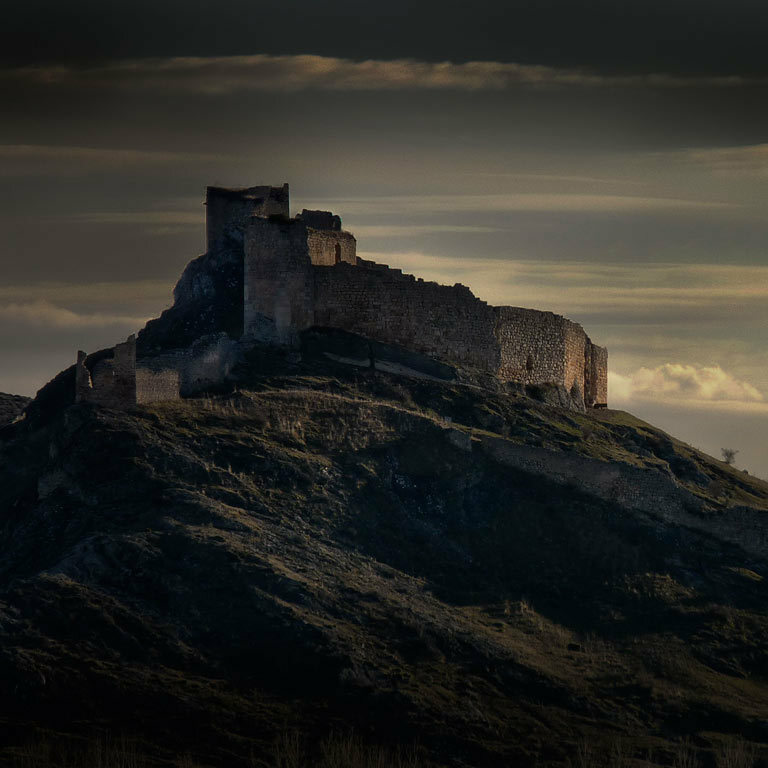 El Cid, exiled, leaves Vivar with a handful of knights ordered by the king to leave Castile in nine days, a term El Cid uses to leave his daughters and his wife in the monastery of San Pedro de Cardeña, stock up on ammunition and stores and increase his small group of loyal followers by enlisting new knights and soldiers. 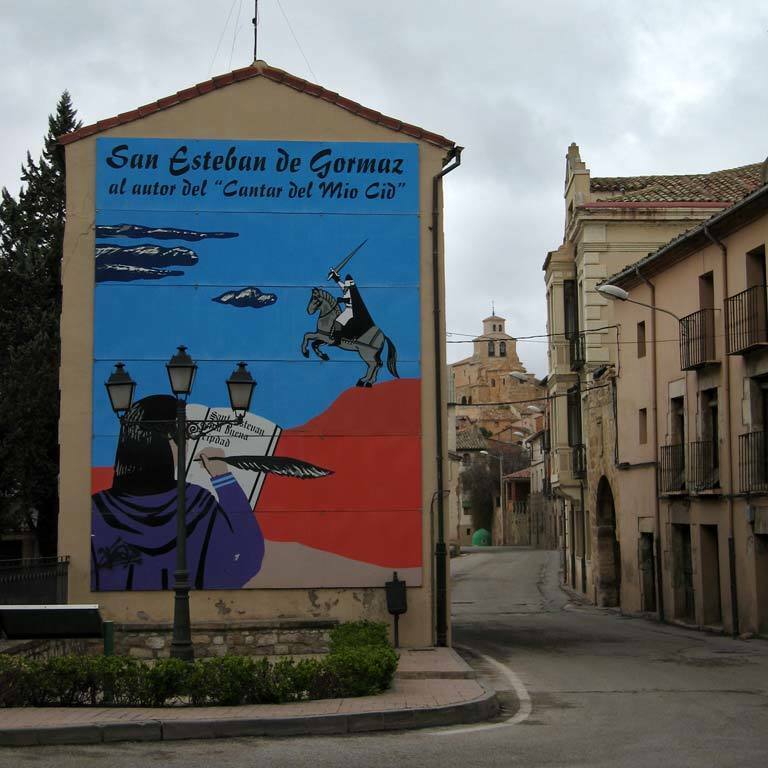 Although El Cid leaves Castile via the Pela Mountain Range, today on the border between Soria and Guadalajara (a mountain range that stood as the natural border in 1081 between the Christian kingdom of Castile and the Islamic kingdom of Toledo), our route ends at the next important town in Al Andalus: the historical town of Atienza, an Arabic military site on the border and of great importance in the 10th and 11th centuries. 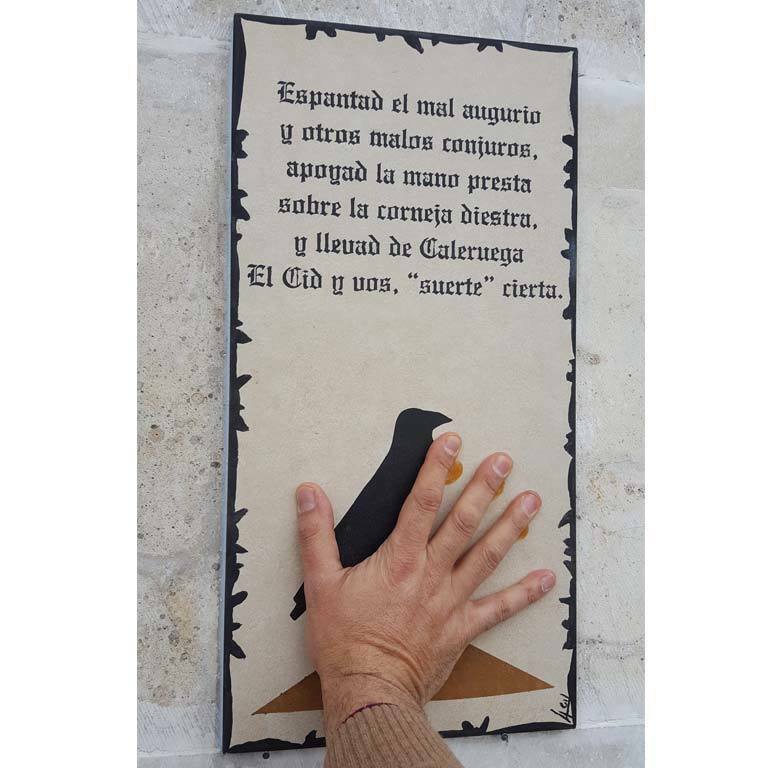 This journey to exile is combined with the famous episode of the Afrenta de Corpes narrated in the Poem, where El Cid's daughters are abused and abandoned by their husbands. 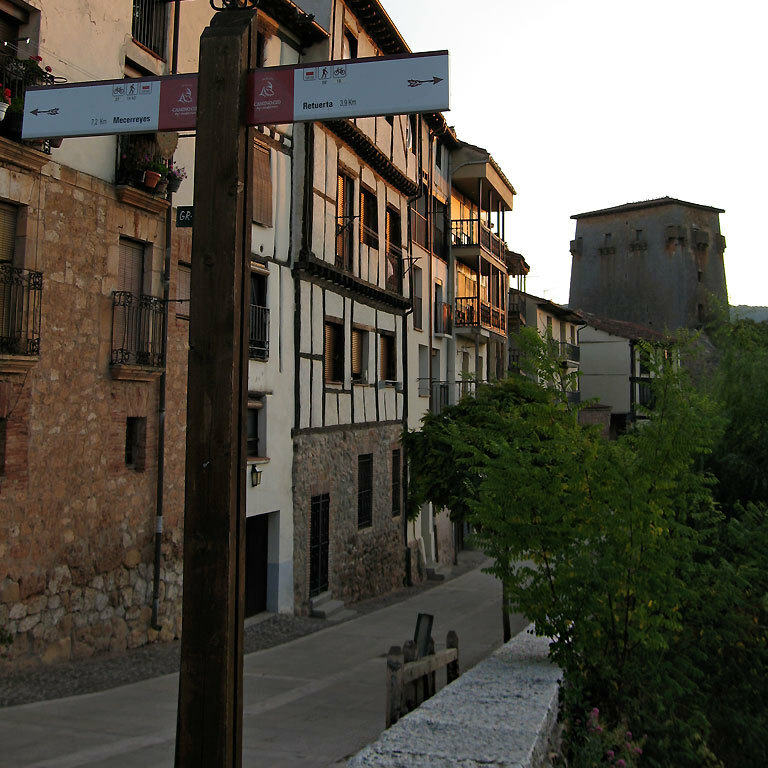 Traditionally, academics have placed this legendary event in Castillejo de Robledo. 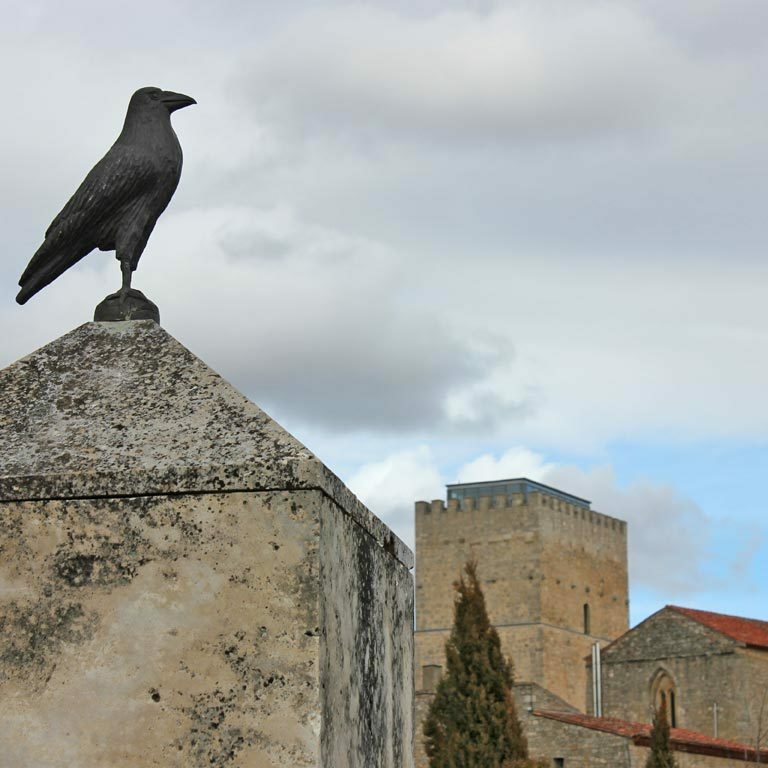 On this route you will see a large part of the essence of Castile, one of the most important kingdoms of Spain in the Middle Ages. 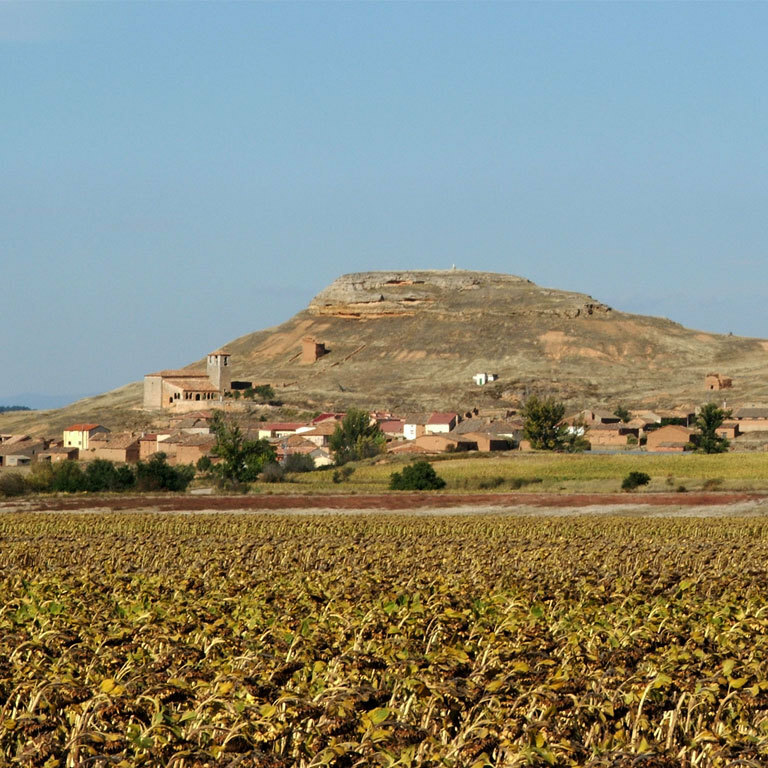 The countryside alternates with dry cropland in the valleys of the Rivers Arlanza and Duero with juniper, oak and pine forests and flat land and moors. 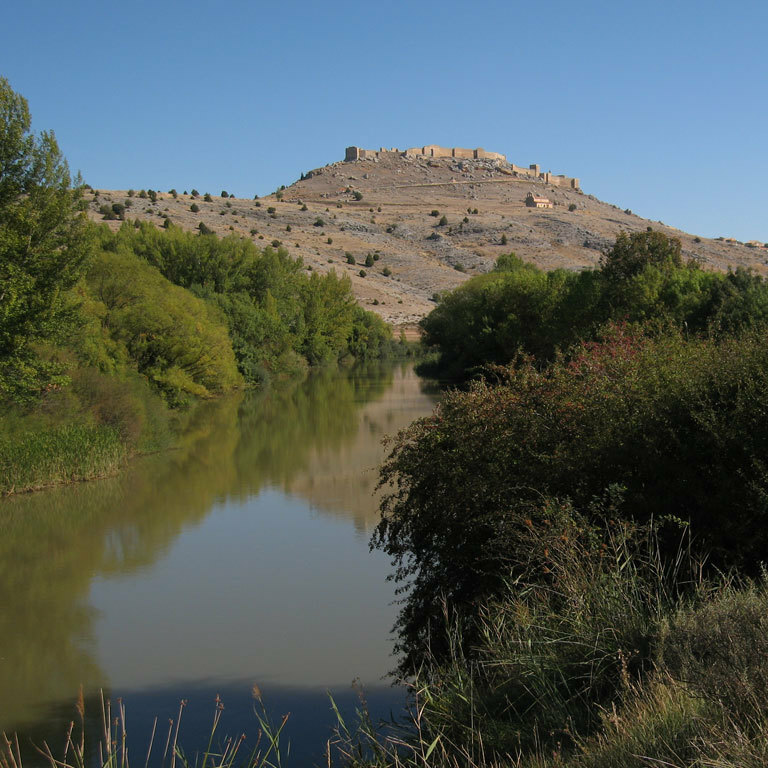 The route crosses six natural areas protected by the Natura 2000 Networking Programme, including the juniper forest in the valley of El Arlanza and La Yecla (a limestone cliff as you leave Silos and next to the road, well worth a visit) and the area around the River Duero in Soria, which is of great environmental importance, but which was also geographically and politically important in the Middle Ages since it was the natural border between Castile and Al Andalus. 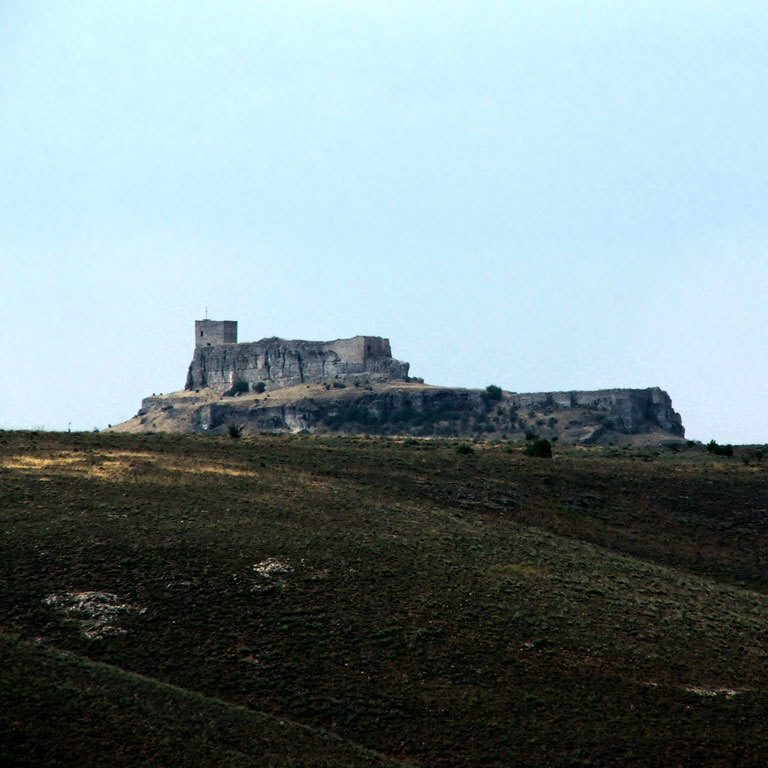 This importance can be seen in the many lookout posts and castles that mark out this unique area between Langa de Duero and Berlanga de Duero, whose emblem is the huge caliphal fortress of Gormaz, once governed by El Cid. 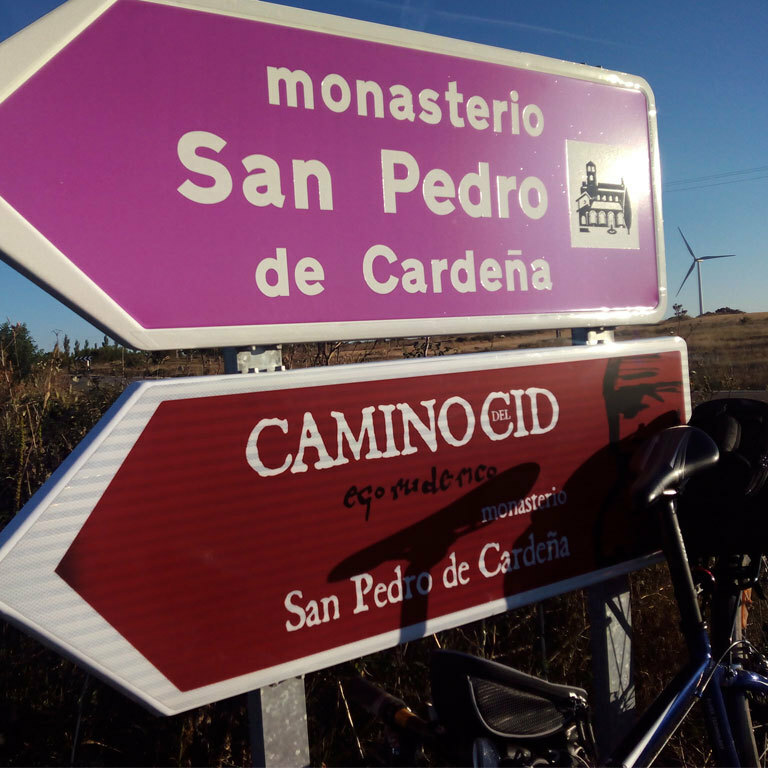 You will pass by two of the large foundational monasteries of Castile: that of San Pedro de Cardeña and that of Silos, and very close to that of Arlanza (8 km from Covarrubias), and you will visit mythical places that form part of the history of El Cid, including Vivar del Cid, San Pedro de Cardeña, Castillejo de Robledo and San Esteban de Gormaz, among others. 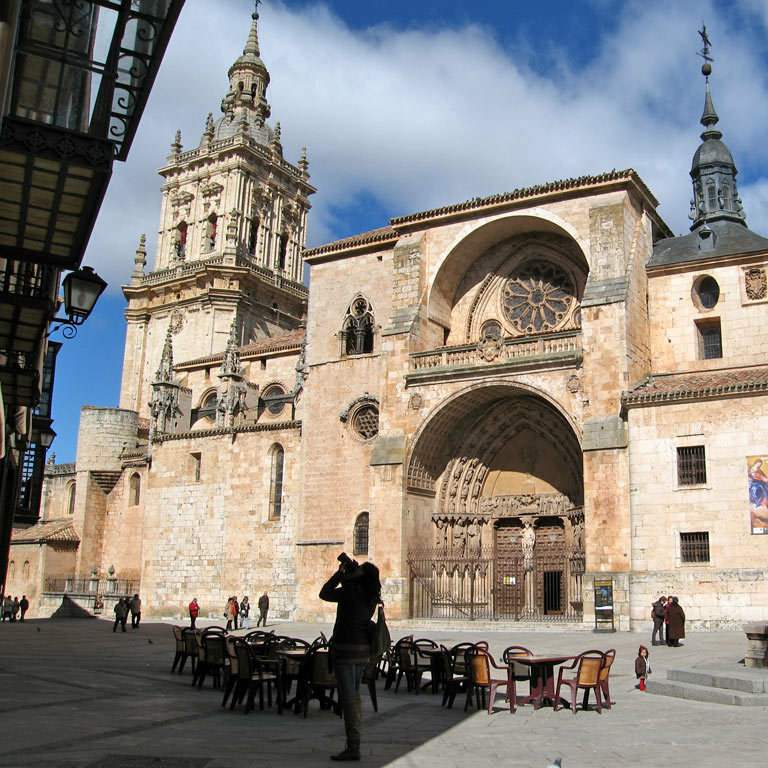 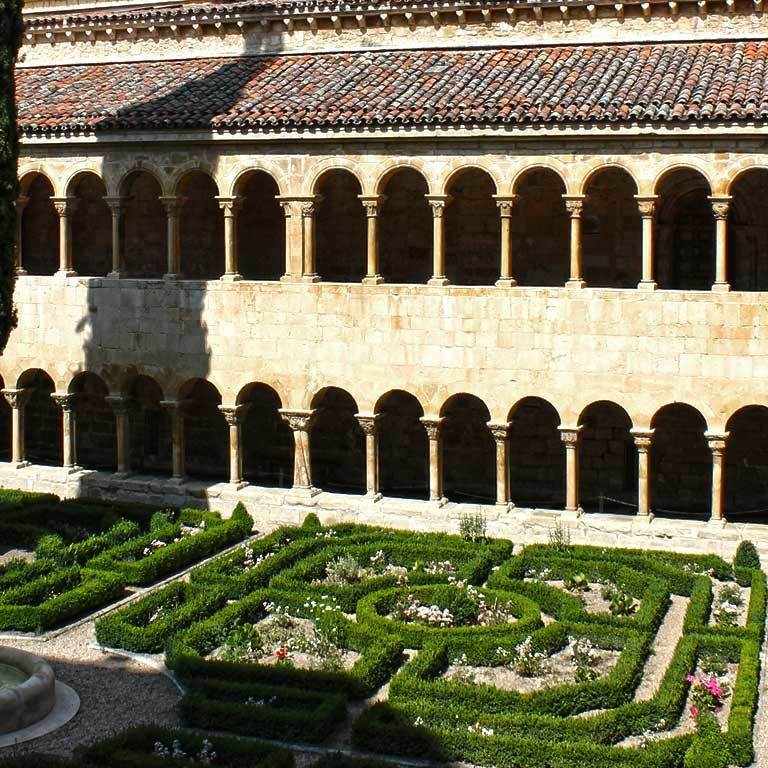 Of course, the route also includes Burgos, the city of El Cid par excellence, with good infrastructures for cycling tourists and excellent monuments with its Gothic cathedral at the top of the list, declared a World Heritage Site. 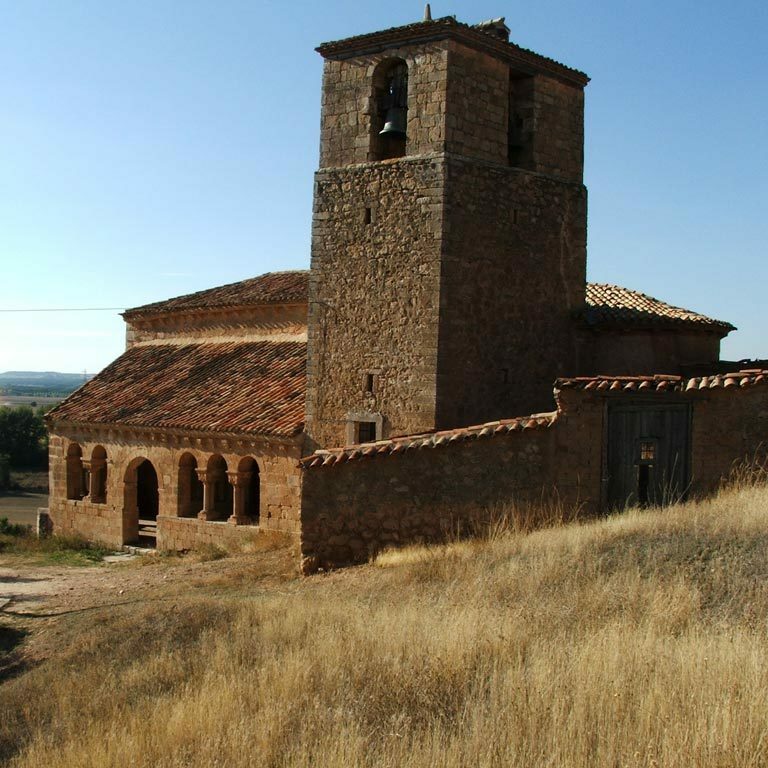 On the route, you will also come across many examples of Romanesque architecture in the fascinating cloister of Santo Domingo de Silos, the paintings in the shrine of San Miguel in Gormaz, the churches of San Esteban de Gormaz and in many other villages that have examples of the so-called rural Romanesque style, which is very humble but highly suggestive and evocative. 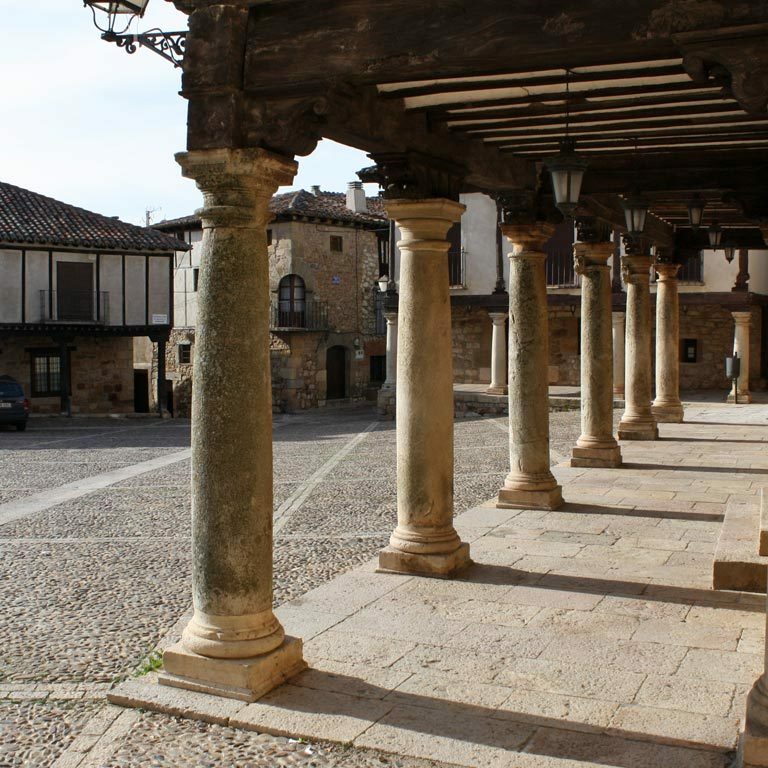 This section is also predominated by small, quiet villages, some of which have maintained their medieval 'aroma' and are of recognised interest, such as Covarrubias, Santo Domingo de Silos, Langa de Duero, San Esteban de Gormaz, El Burgo de Osma, Berlanga de Duero and, of course, at the end of this route, in Guadalajara, the impregnable Atienza, all of which have been declared Historical and/or Artistic Sites. 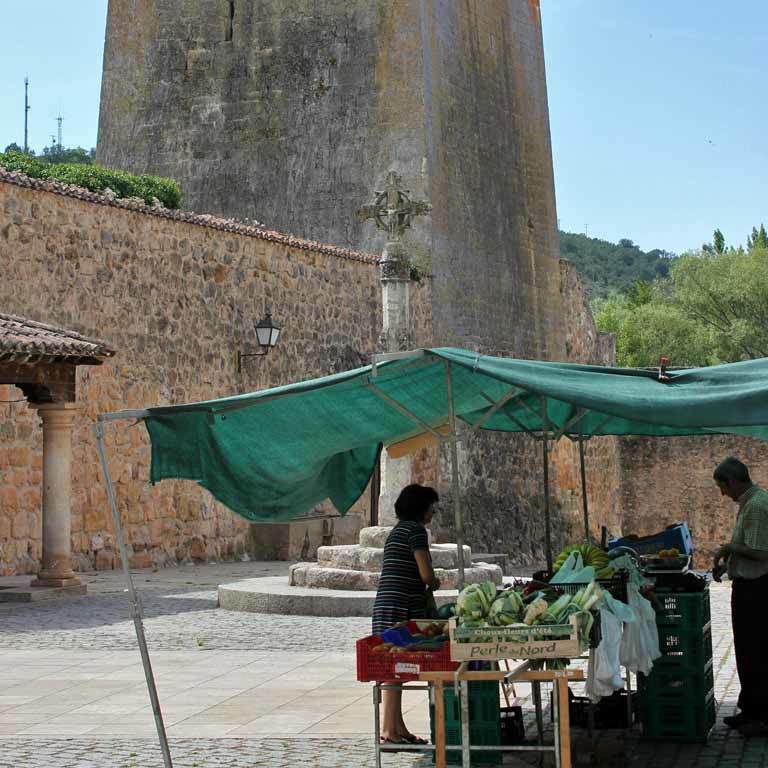 In Santo Domingo de Silos the road route differs from the hiking route, although both routes come back together 50 km further on in Alcubilla de Avellaneda, in Soria. 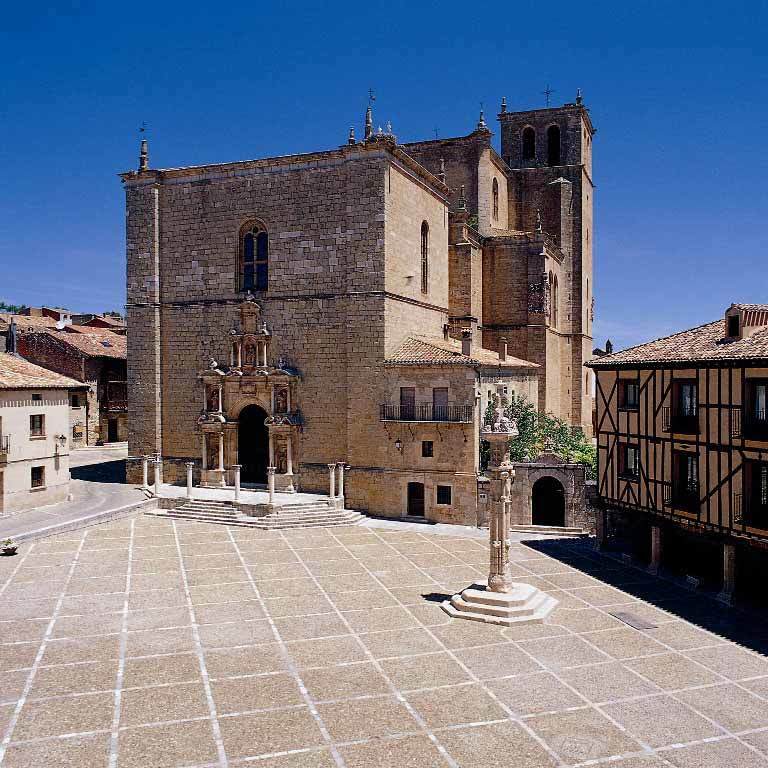 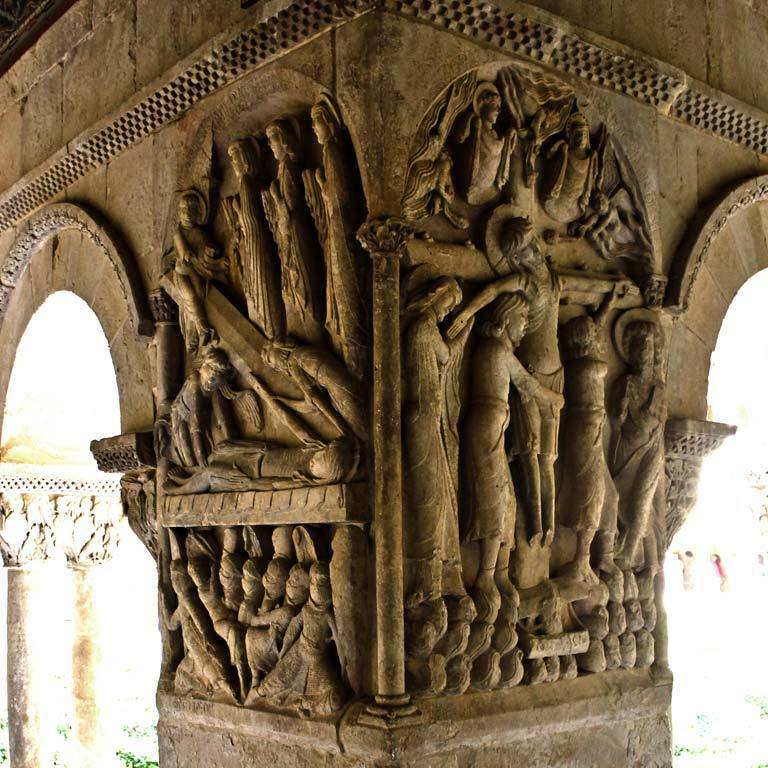 This small section has a few surprises: the first is Caleruega, the hometown of the founder of the Dominican Order, with a Romanesque church and medieval tower. 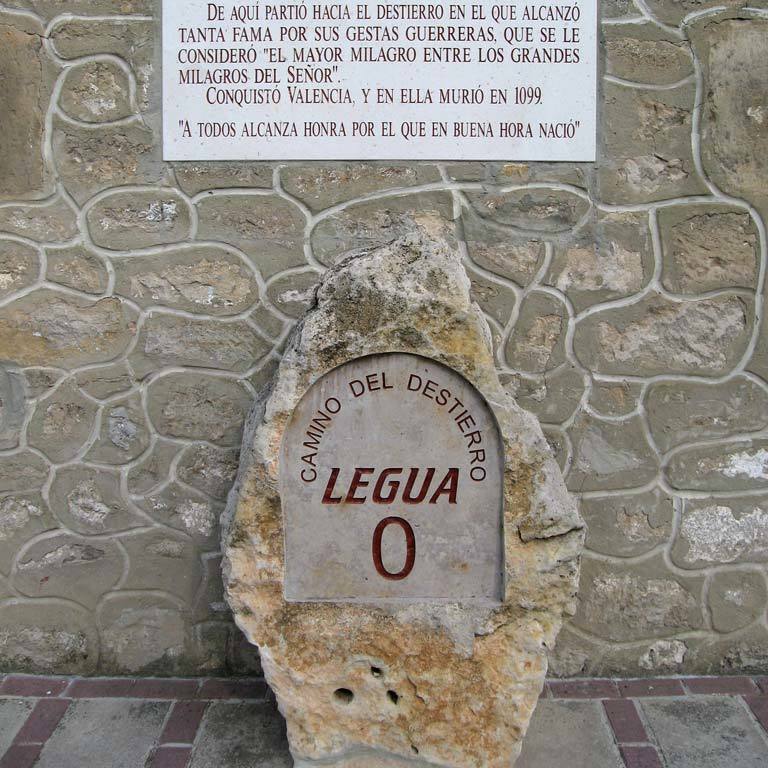 From Caleruega we set off for Peñalba de Castro, which is home to the archaeological digs of the Roman town of Clunia. 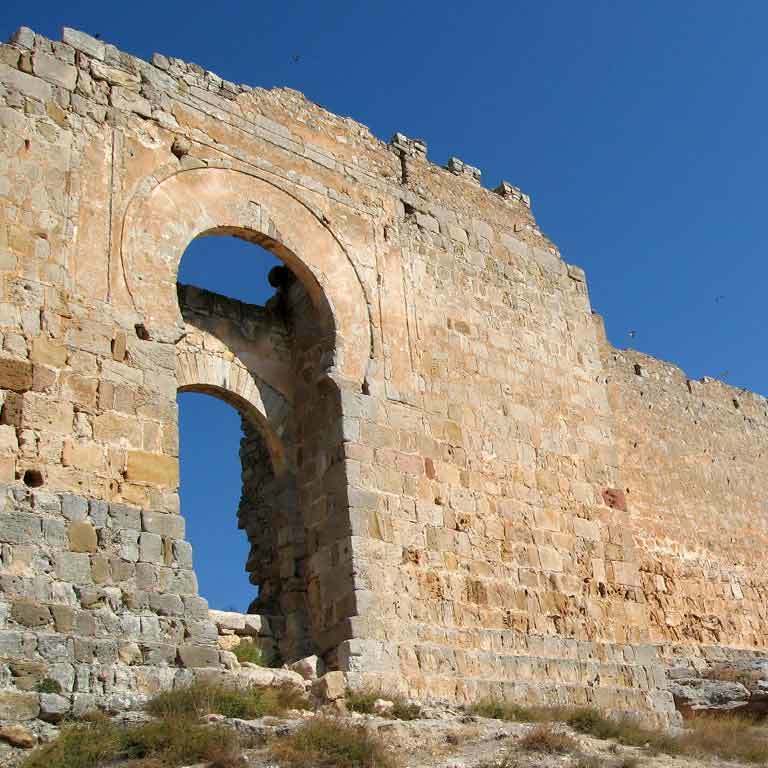 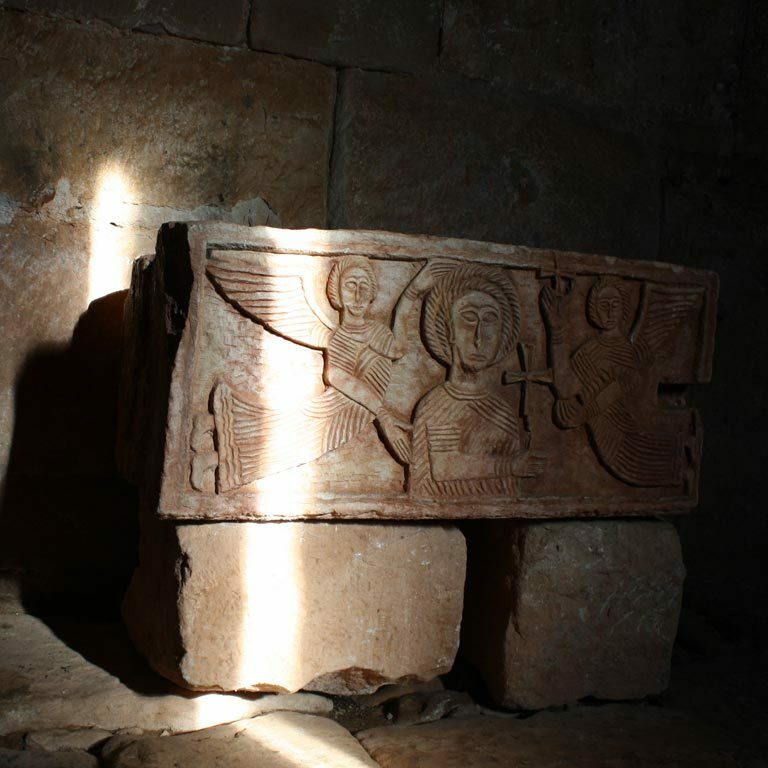 Today, the site can be visited and it was one of the large imperial towns of Roman Hispania. 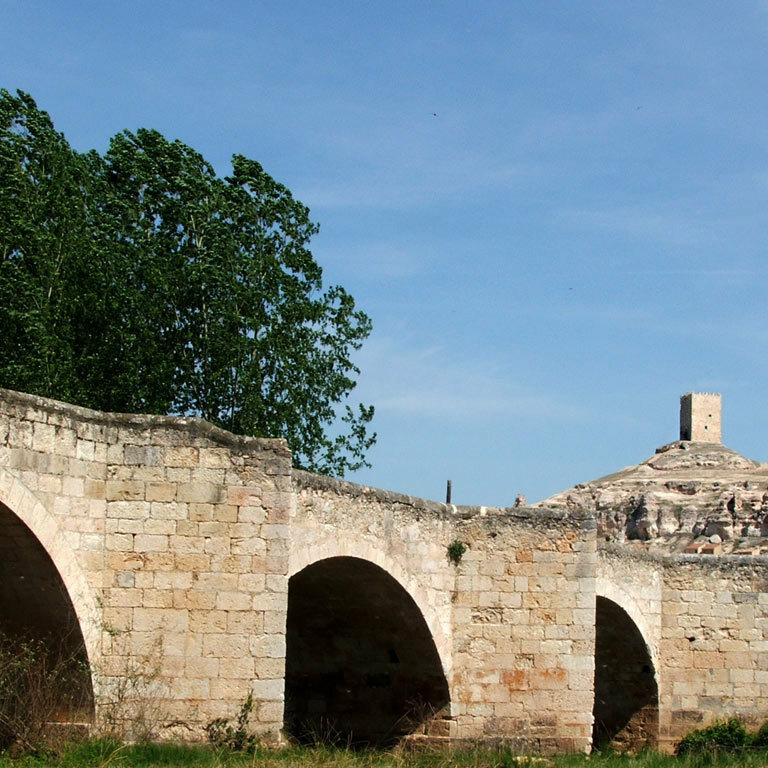 As far as gastronomy is concerned, on this route you must remember to try the famous black pudding of Burgos, a reference in traditional Burgos cuisine, which is based on heavy stews, such as olla podrida, and roast baby lamb, dishes you can also try in Soria and Guadalajara. 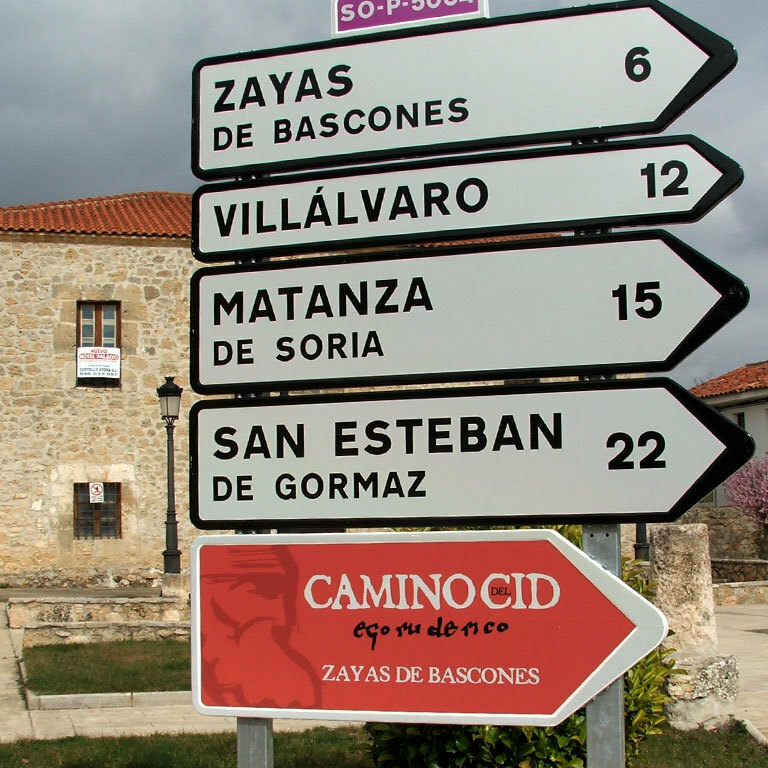 The journey through Soria, a paradise for wild mushroom enthusiasts, will provide travellers, especially when they are in season, with succulent surprises made with saffron milk cap, cep, king trumpet mushrooms, amanita, mushrooms and truffles, which are gaining in popularity at tables in Soria, together with game stews (roe deer, venison and wild boar). 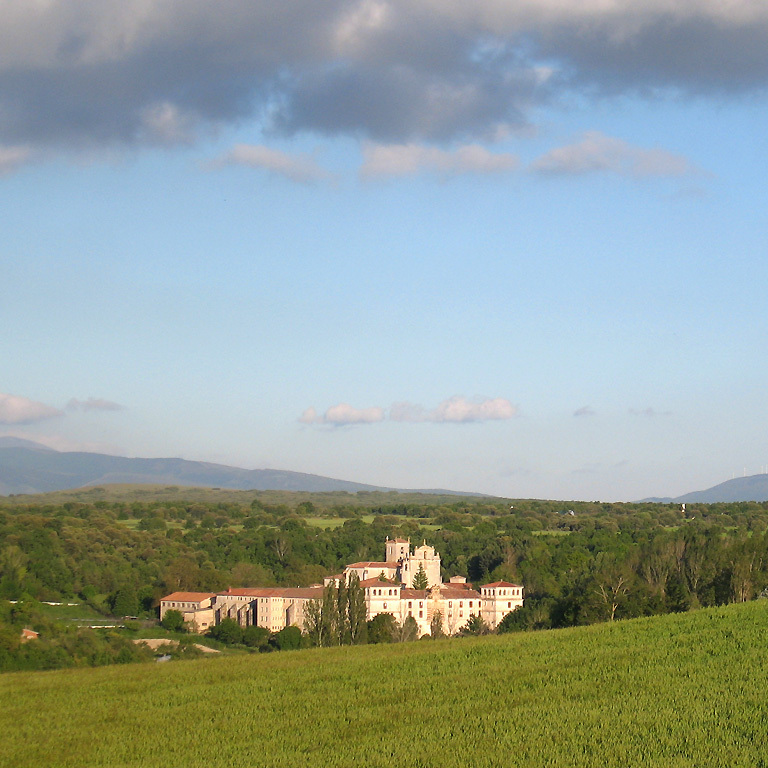 As far as fish dishes are concerned, trout and cod cooked in many different ways are typical in all three provinces. 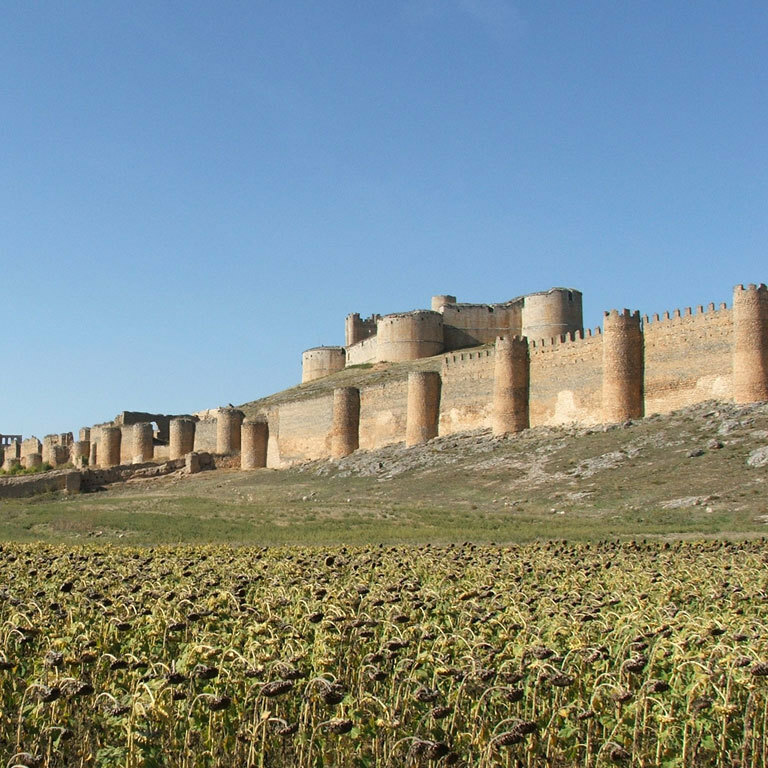 Although there are other designations of origin, such as that of Arlanza, the most typical wines on this route come from Ribera del Duero and are recognised internationally. 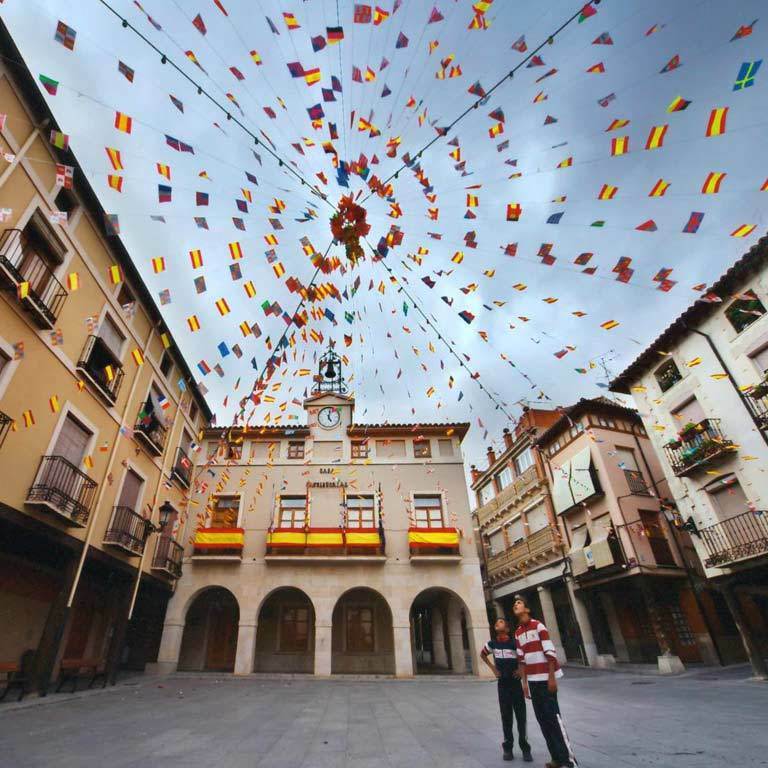 Finally, we recommend rounding off this culinary adventure with some of the region's typical deserts, including Burgos cheese served with walnuts and honey or any of the many sweets and biscuits made with butter from Soria. 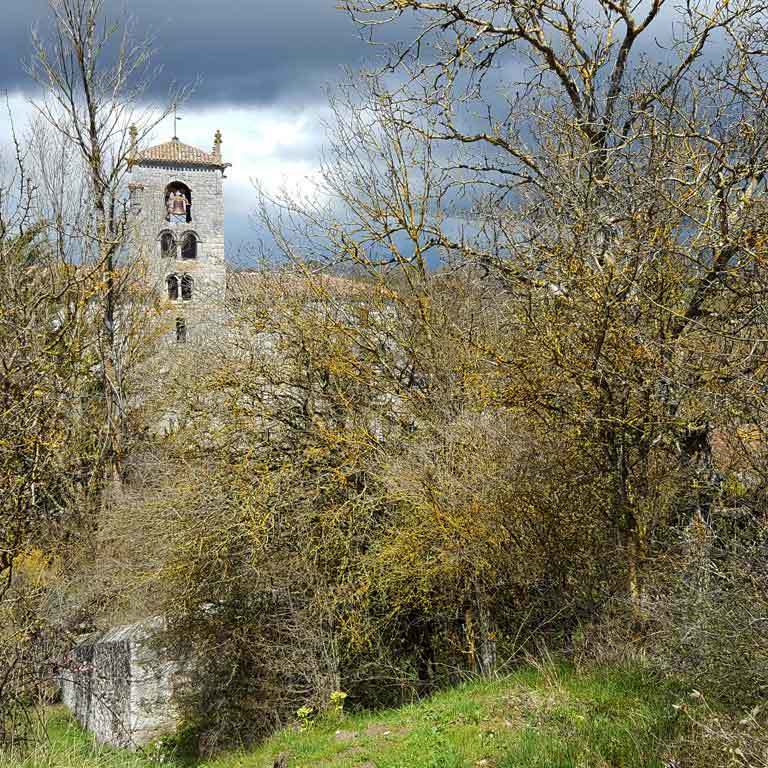 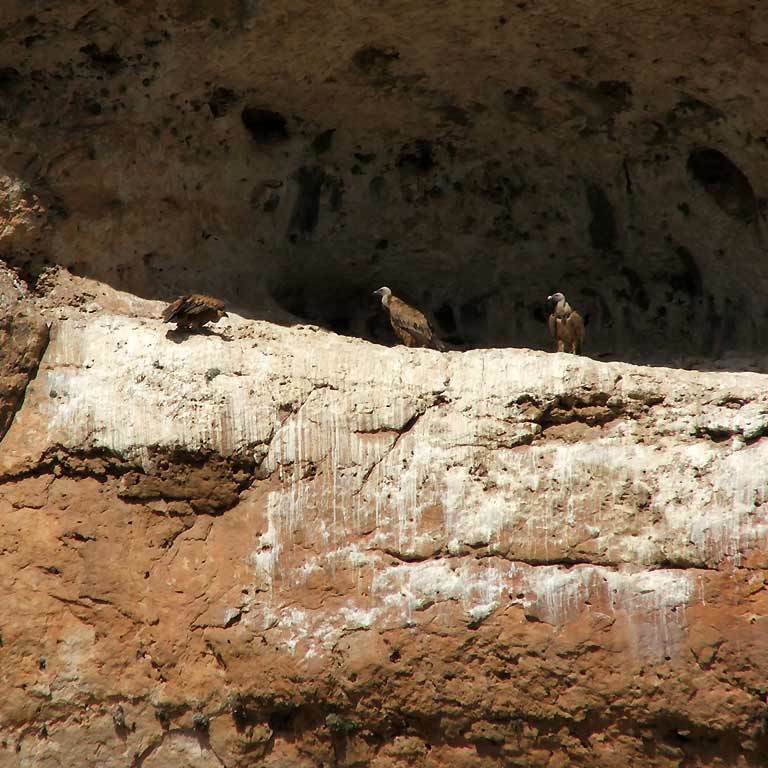 Crossing the River Duero near Navapalos and coming across this small village, so closely associated with the Poem, watched over by a solitary Islamic lookout post, is an exciting experience. 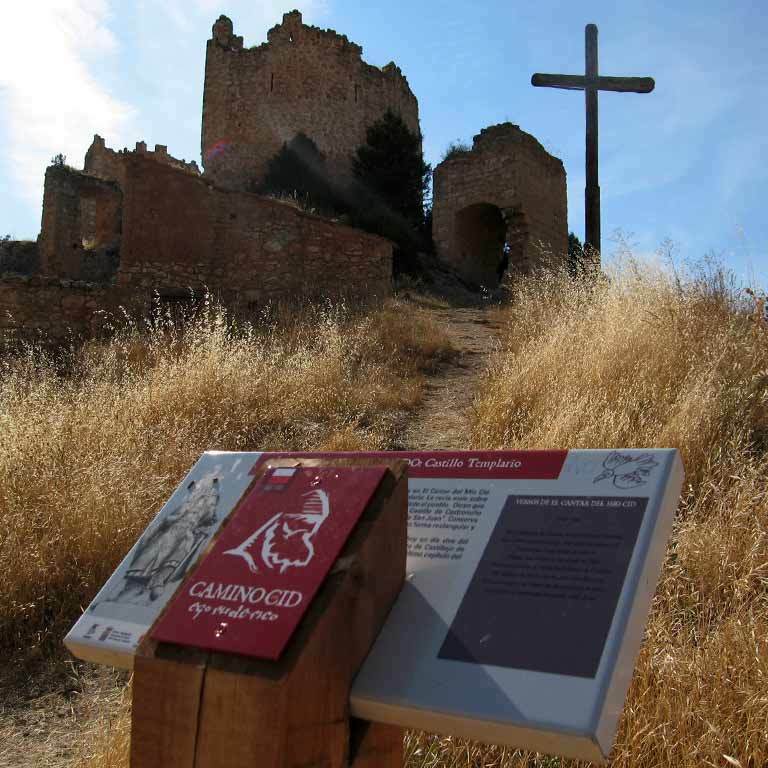 We leave it and continue to a short but entertaining climb with fantastic views over the plains of the River Duero (protected natural area), where we arrive after a downhill section and see among the tops of the poplars, ash and willows, the huge caliphal fortress of Gormaz and the Romanesque Shrine of San Miguel. 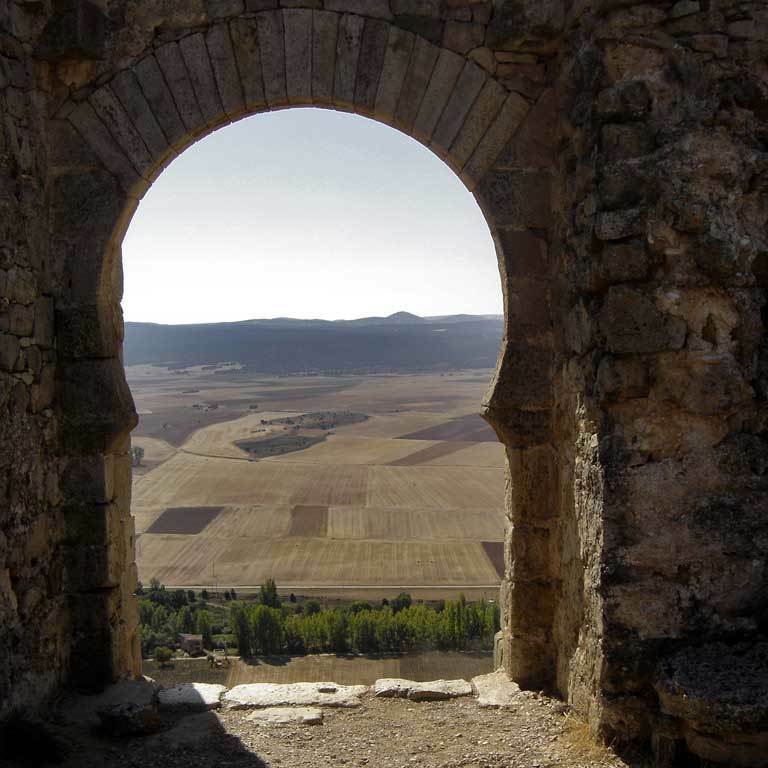 The views from the castle are highly recommended. 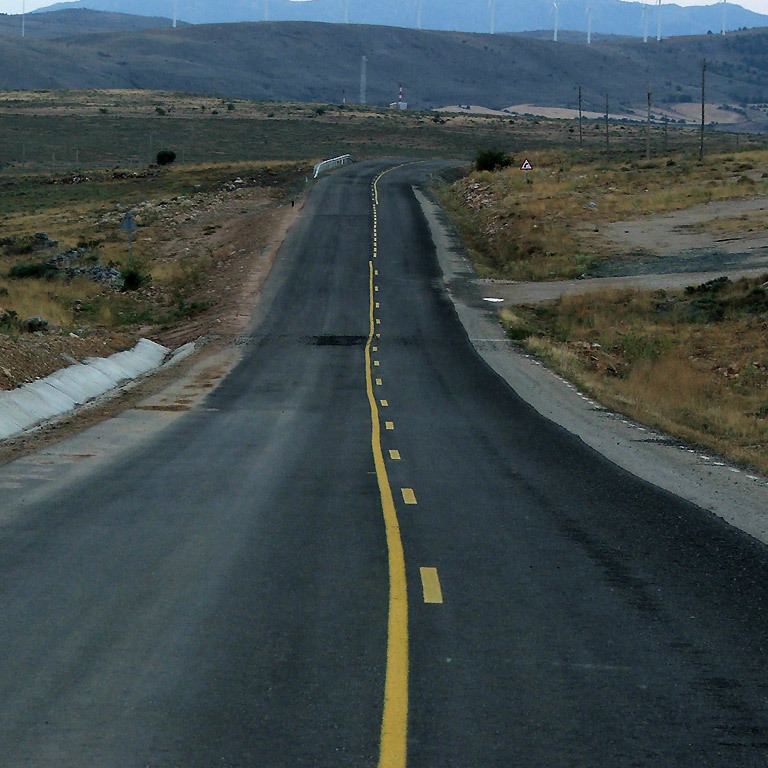 The road has very little traffic. 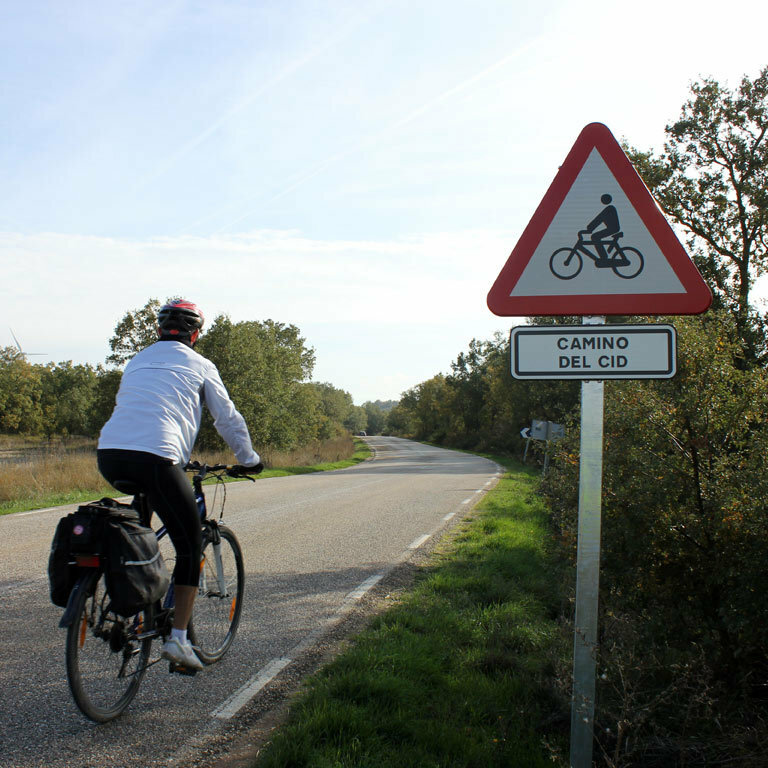 Cycling tourists will work up a bit of a sweat, but they will really enjoy the experience. 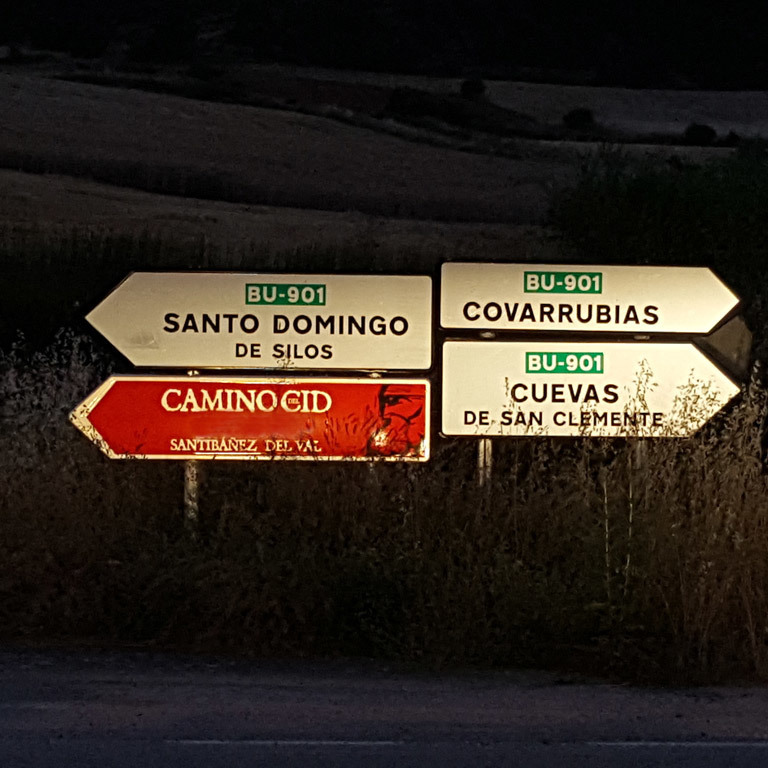 The roads are signposted at crossings and strategic places. 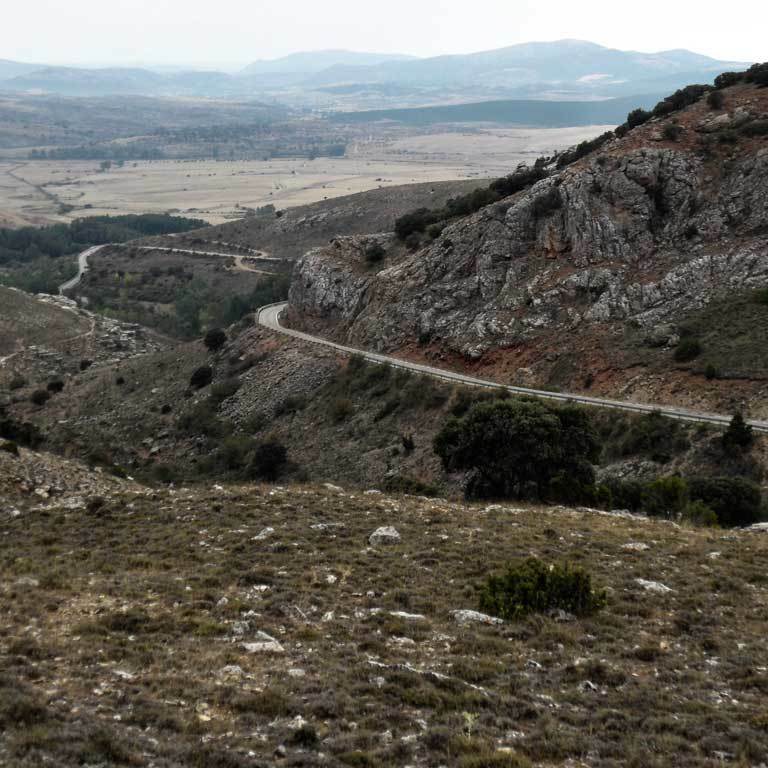 The roads are easily followed: they are minor roads with little traffic, although some of them do not have a hard shoulder and the road surface is uneven, which may be uncomfortable for bikes with thin tyres. 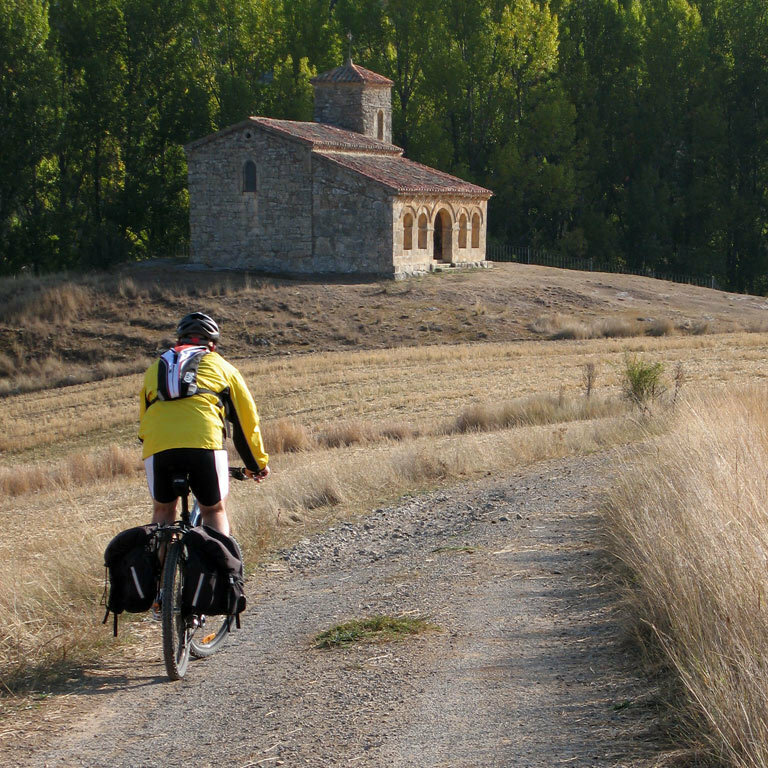 For greater convenience, we recommend you take the cycling tourist route guides and the track. 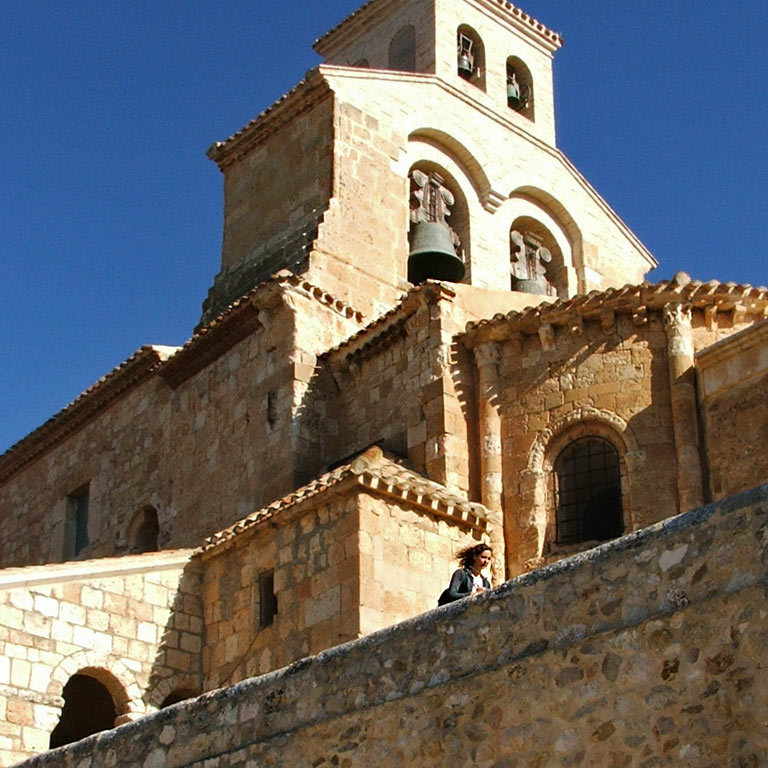 To see how to get to Vivar del Cid, click on the information about the municipality. 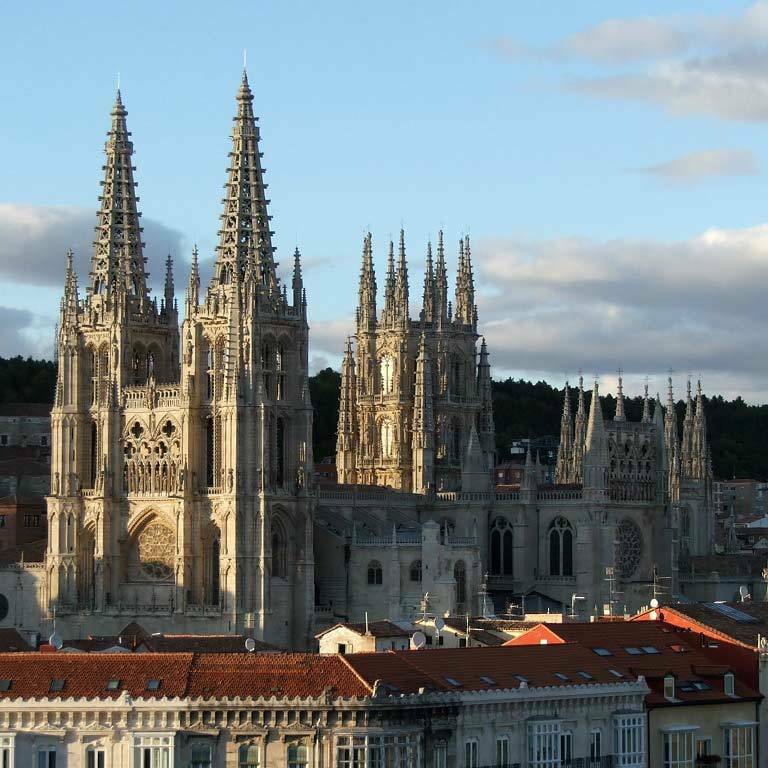 Normally, it is best to get to Burgos, which has a railway station, bus and coach station and airport. 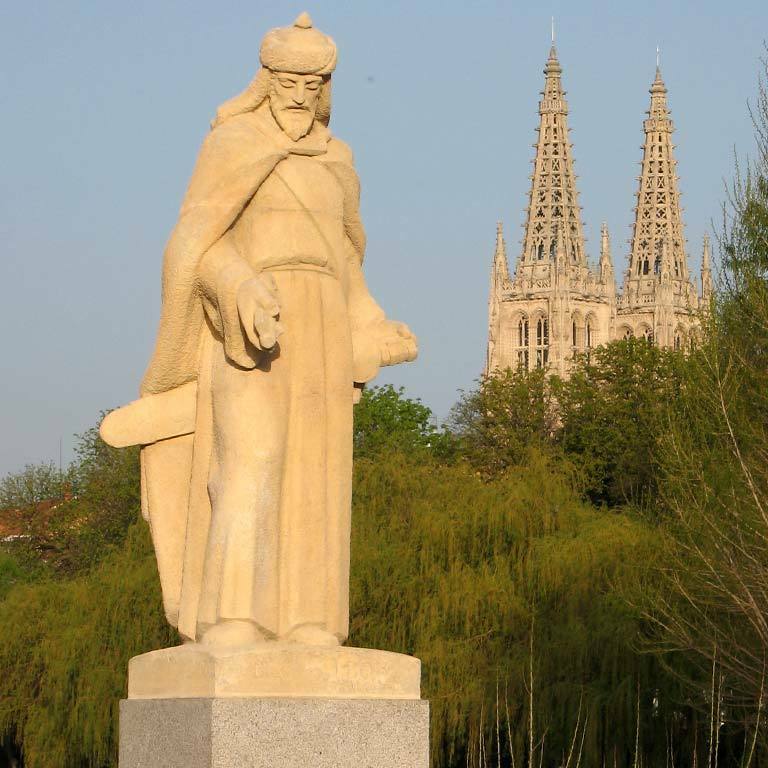 For information about the transport available in Burgos, click on the information about the municipality. 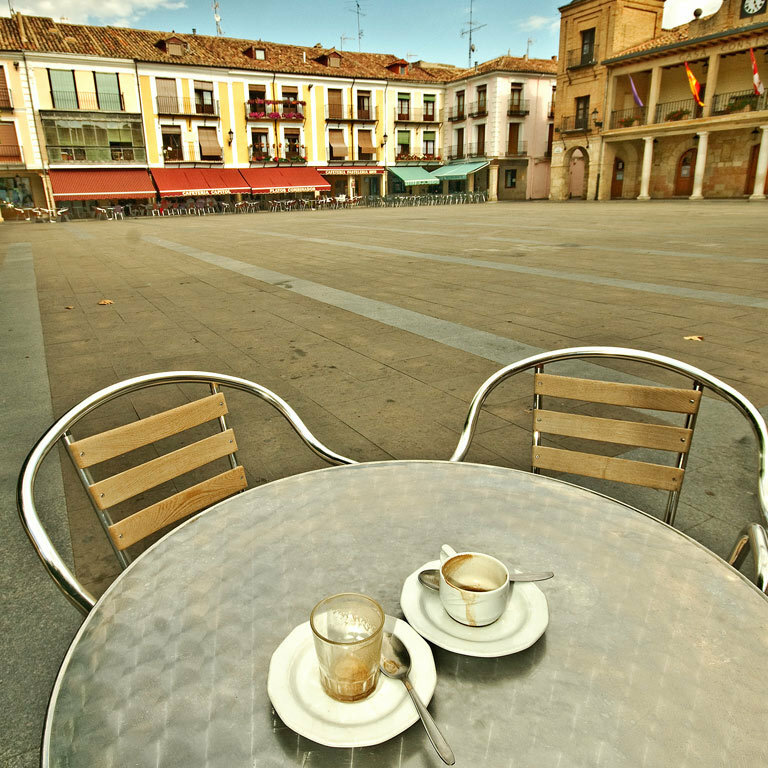 From Atienza, you can return to your place of origin by coach. 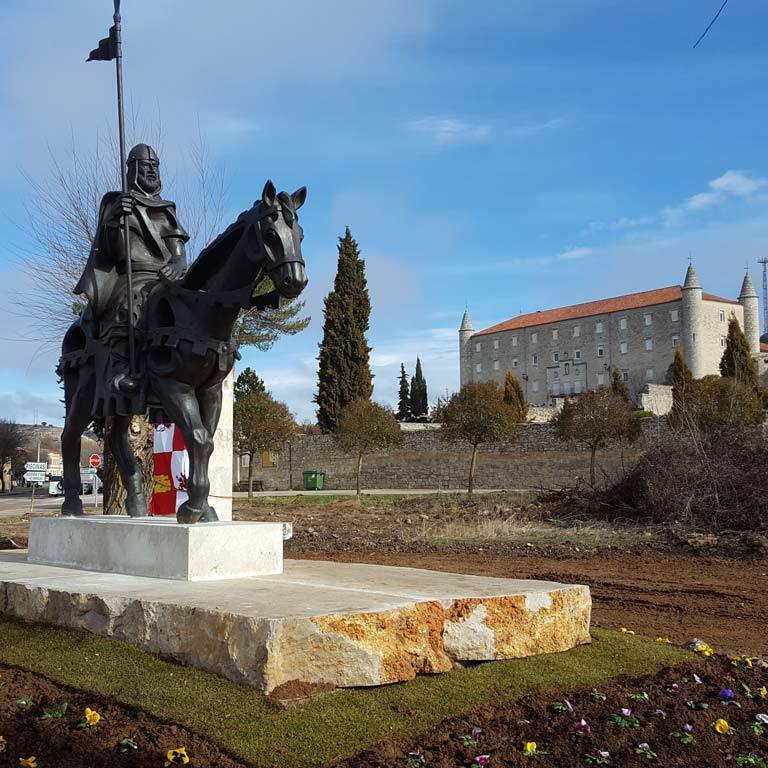 For more information, click on the information about the municipality.